If you would like to be notified when the Equinox Pulse Tube becomes available please enter your email address here. Considering purchasing the Equinox Pulse Tube? Have questions? Ask people who've recently bought one. Do you sell carry bags for the lights? You could use something like this: https://www.djkit.com/adam-hall/gravity-bg-dbls-331-transport-bag.html think you could get a couple in it. Are the tubes linked or does any plugged in tube respond to the control? These tubes don't link together, however you do get a remote to control them. Do you own the Equinox Pulse Tube? Why not write a review based on your experience with it. Was sceptical when first got this but used it when DJing and must say it is very good. Will be getting another very soon ! Bought two. They donâ€™t sync but not expected to, Lots of decorative effects, surprisingly bright and excellent value for money. 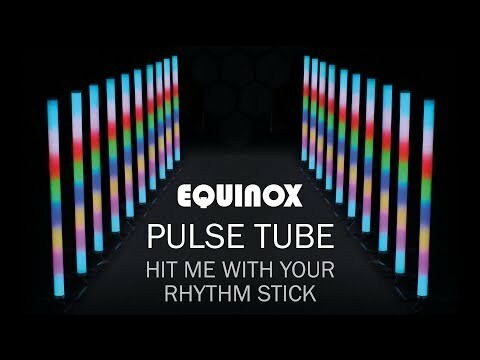 Seen a video for Equinox Pulse Tube online or have you own video? 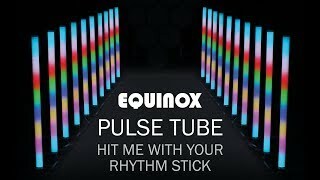 Check out Equinox Pulse Tube on DJkit.com!